With its endless enthusiasm for the best quality, Dongbo has made its best efforts to be a leading manufacturer in global auto industry; to be trusted by its customers and respected by society. Now, Dongbo just started its powerful leap toward being a world-class company, taking its 50th anniversary as a new beginning point. Since its establishment in the 1960s–the early period of the automobile industry–Dongbo, one of the first generation of entrepreneurs in Korea, has focused on the production of zero-defect automobile parts, “Quality-First,” “Customer-Satisfaction,” and “Employee-Oriented,” and its core value, “higher standards,” which means one-step-higher management level. Dongbo has been growing since its foundation, operating its large-scale production bases with advanced facilities in Incheon, Asan, Gyeongju and Changwon, all of which are situated nearby major customer locations. Now Dongbo produces high-precision automobile parts, including engine and transmission components, and supplies to domestic customers as well as to global OEM and tier 1 companies in more than 20 countries such as USA, German, Japan and France. While accumulating a corporate history for the past half-century, Dongbo has firmly established a foundation for stable and sound growth. This foundation is based on mutual trust between labor and management, and the fostering of its tradition for a 100-year longevity company and a master craftsmanship company. 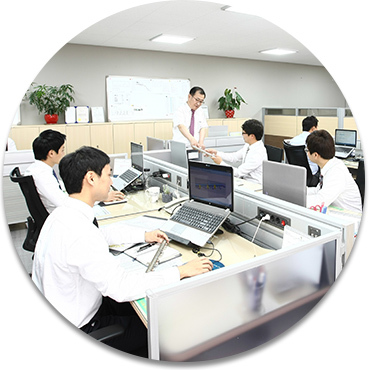 In addition, Dongbo has done its best, with continuous change & self innovation, to improve management efficiency and corporate competitiveness in line with the growth of the company, while continuously expanding its production base through reinvestment of business profits, adopting advanced facilities, R&D activities and actively promoting the training of employees to improve their job skills and self-development. All these efforts have resulted in the advancement of management and the enhancement of organizational capabilities. Dongbo’s efforts to improve production and management efficiency and advancement are never ending. By implementing an initiative of Business Information, systematically collecting, analyzing and managing management information of sales and production and advanced quality systems such as POP, PLM, HIPIS, IATF 16949, and having received the MB national quality award for production process and quality innovation, Dongbo is leading the way in quality management, knowledge management and strategic management for sustainable development by building and operating such kinds of well-developed management systems. In all business activities, Dongbo strives for sustainable growth with a sound and progressive corporate philosophy, future strategy, and enthusiasm. Dongbo will continue to pursue growth so as to successfully survive for the next 50 years just as it did for the first 50 years. We sincerely appreciate our customers and partners, as well as our stakeholders who have supported Dongbo. We look forward to your continued support, which is making further progress toward our dream of becoming a company for the next 100 years. We will reward your best wishes and encouragement by being one of the world's best companies with the best quality and technology in the world. ⓒ 2017 Dongbo Industrial Co., Ltd. All Rights Reserved.